You don't have to wear teeth brace just because of the 1 tooth!! Wearing teeth brace is very hurt and it is expensive cost around RM3000. Veneering a tooth means to cover its facial or front surface. It is actually very similar to placing acrylic fingernails on top of natural nails except they are permanently in place. 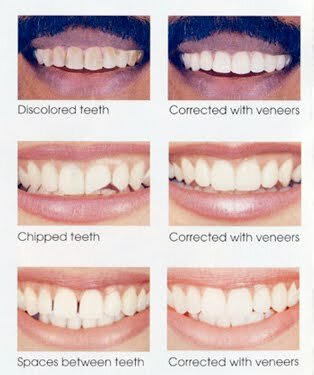 Veneers are used to enhance shapes and colours of teeth as well as to close spaces between teeth and to cover up significant stains such as those caused by tetracycline. 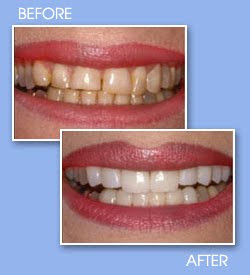 It can also be used to repair chipped or broken teeth or even to cover up unsightly stains. They can also improve the alignment of your teeth to even out an uneven smile. They require only minimal reduction of the tooth surface so they are a more conservative treatment than crowns. 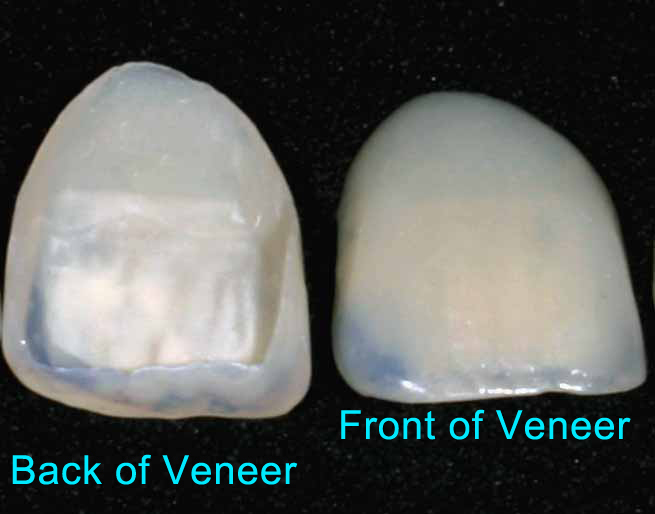 What is the difference between a Porcelain and a Composite Veneer? There are two types of veneers: Porcelain and Composite. A Porcelain veneer is stronger, resists staining and reflects light. They are among the most natural looking restorations available. 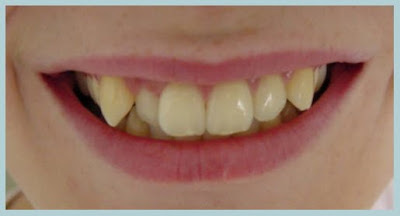 Porcelain veneers can be used in place of crowns for a more conservative and natural looking smile. A Composite veneer is quicker and cheaper but is not quite as aesthetic or long lasting. What does a Porcelain Veneer involve? During the first visit, a local anaesthetic is used and the tooth or teeth are reduced by approximately 0.5mm – 2.0mm. An impression is then taken and sent to a dental ceramicist for fabrication which usually takes one to two weeks. A temporary restoration may be necessary and there may be slight sensitivity to hot and cold during this period. At the second visit, a local anaesthetic may be used in seating the veneers. After thoroughly cleaning and preparing the teeth, the veneers are placed with a resin material and cured or hardened with a special curing light. What does a Composite Veneer involve? Composite veneers only require a single visit. Unlike porcelain veneers, composite veneers require only minimal or no tooth reduction thus making it a very conservative procedure. It usually requires no anaesthetic. 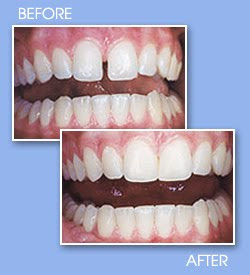 Composite veneers can be touched up and even re-bonded over time as necessary. Composite and porcelain veneers should last between 5 and 10 years depending on proper care and maintenance and can often last longer. Porcelain veneers resist staining, reflect light and are among the strongest and most natural looking restorations available. Note : I recommend you do Composite Veneer, because it is fast (it can be done in 5 minutes), no pain, no bleeding. 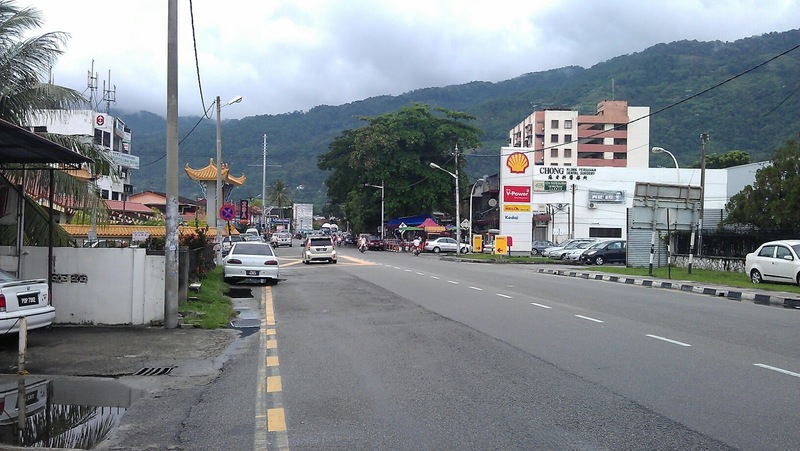 It cost me RM90 per tooth in Penang in Malaysia. The doctor asked me don't bite the steak or meat too hard and don't chew the meat too hard with your tooth, don't brush your tooth too hard too because worry the veneer/plastic will fall off. If it is fall off, I need to waste another RM90 to do another new veneer composite on my tooth, haha. Anyway, I didn't listen to the doctor's advice, I just chew and bite the steak/meat, brush my teeth very hard and the veneer still didn't fall off. I wearing the veneer for more than 2 years already, It won't fall off, so don't worry. I guess now every dental clinics also have offer Composite Veneer service. Teeth veneers provide a longer lasting solution to teeth whitening, however they are the most expensive option, the effect can last for up to 10 years. 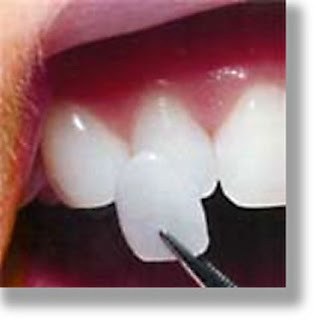 The technique works but bonding a strong material to the front of the teeth, either a composite material can be used for teeth bonding or a veneer can be used. Composite bonding is generally cheaper than veneer bonding. The procedure is as follows, the front of the tooth is warn away so that the new tooth will be of a similar size to the current tooth, then minute grooves are etched onto the surface with a weak acid. Then a composite resin with a suitable color match is place on the teeth. It is moulded onto the teeth and set hard by a light. The final stage is a polish and a smooth. A veneer is created which is the required form to match your mouth and teeth. 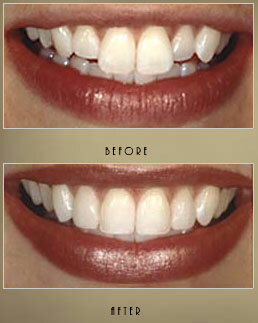 The strongest and most desired veneers are made from porcelain. The dentist will take an impression of all the teeth, this is then sent away so that the veneer can be created. The front of the teeth is reduced in a similar fashion as with composite tooth bonding. Once the veneers are ready they are bonded to the teeth using a bonding cement. Porcelain is a glass like ceramic, it is ideal as it matches very closely to the natural color of a tooth. This is due in part to the fact that porcelain is translucent much like a real tooth. This means that light penetrates the veneer and reflects of the underlying dentin. 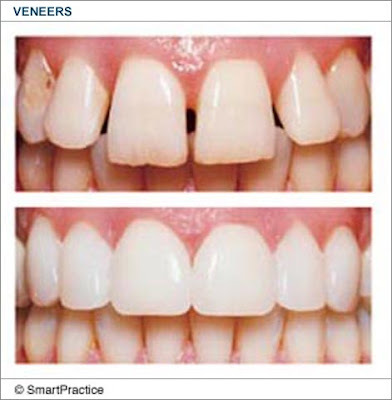 Veneers can also be used to cover underlying problems with teeth such as chipping and cracking. Veneers are a great aesthetic solution to your smile that may even help you avoid orthodontic treatment. * Often used to improve the appearance of your teeth and enhance your smile. As the name indicates, composite material, either a plastic or resin, is bonded to an existing tooth. Unlike veneers or crowns, composite bonding removes little, if any, of the original tooth. * It is a quick process, which typically lasts less than one hour. * It does not reduce the tooth’s original structure and is relatively inexpensive. * Composite resins come in many different shades and provide better matching of shades to the natural color of your teeth. * Composite bonds, however, are not as durable and long-lasting as veneers and crowns and may need to be re-touched or replaced in the future. * Composite bonds stain more easily and therefore require proper care and regular cleaning. In order to ensure the longest possible duration of the bonding, composites should be brushed and flossed daily. Common staining elements include coffee, tea, tobacco, foods and candy. Malaysia doctor might not know what is veneer, so please don't ask doctor to do veneer. You can go to dental clinic near your house to ask whether or not they got provide service of Composite Filling or Crowning. Composite Filling price is rm60 per tooth. Crowning price is rm600 per tooth. I did it to 1 of my tooth at a private dentist at Air-itam area. 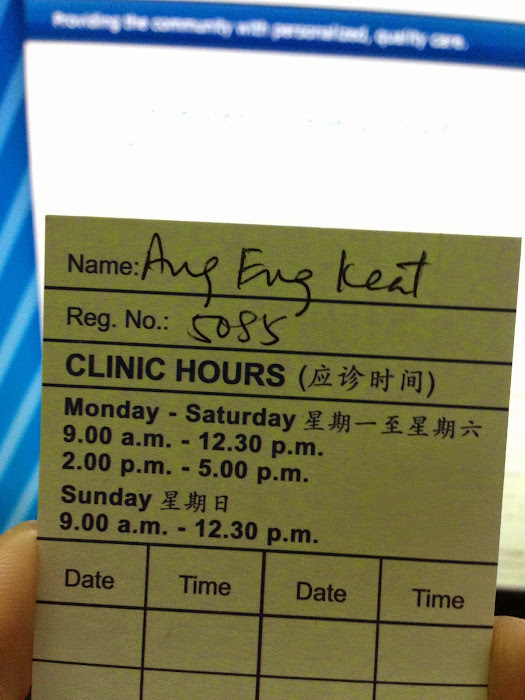 The dentist charge me RM90 only. It is totally no pain, no bleeding. Cool stuff! This is awesome, I agree w/ Zach! With veneers, no one will be able to tell you weren’t born with that perfect smile. What is the name of that clnc? hi can you email me the contact of this dental clinic? i don't have their contact. Sorry. Whats the price for porcelain veneer?? hi, are they still doing this proceduce?. I called the clinic and nobody knows about veneer. can you kindly confirm? coz i am coming from jb..
What is the name of the clinic..? What is the name of the clinic? It is the best-selling in the USA and UK..
Really liked the informative post on veneers. Thanks for sharing the post. It is a well known fact that you will have to visit your dentist thrice if you want to get dental veneers, one for consultation, the second for making the making the veneers and the third for applying them. 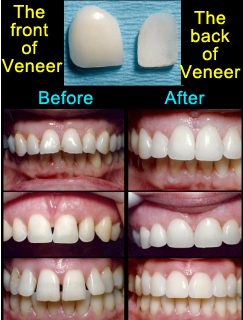 Veneers can be applied to one tooth or simultaneously to multiple teeth. I heard your script, we are also providing dental services in and around Chennai in India, if you are interested please visit our website.